This entry was posted in Sports on November 28, 2018 . 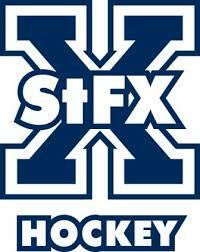 St. FX University’s varsity hockey teams are in the U Sports Top 10 this week. In Men’s Hockey, the X-Men enter the rankings in 10th spot. Two other AUS squads are in the top 10. UNB remains in first, and Saint Mary’s is 6th. In Women’s Hockey, the X-Women are ranked 8th, unchanged from last week. One other AUS team in listed in the top 10. St. Thomas moves up one spot to 7th.